In the first decade of the 20th century, American photographer and gallerist Alfred Stieglitz offered a rousing alternative to the European artists then dominating the art world. He showcased the homegrown talents of four bold young painters: Georgia O’Keeffe, Marsden Hartley, Arthur Dove, and John Marin. Despite unmistakable individual styles, these artists shared a daring approach to color and created forms that evoked rather than described nature. Important examples of their work can be viewed in SAM’s new permanent collection installation American Modernism. 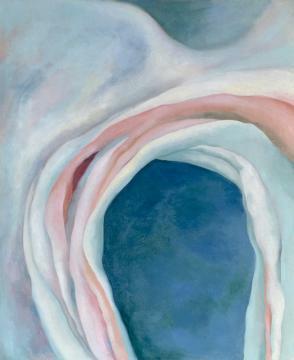 Georgia O’Keeffe’s Music—Pink and Blue No. 1 and Marsden Hartley’s Painting No. 49, Berlin are centerpieces of the installation. These two paintings were milestone gifts to the collection by renowned collector, philanthropist, and former SAM trustee, Barney A. Ebsworth, who passed away in April 2018. Image: Music—Pink and Blue No. 1, 1918, Georgia O'Keeffe, American, 1887–1986, oil on canvas, 35 x 29 in., Seattle Art Museum, Partial and promised gift of Barney A. Ebsworth, 2000.161, © Barney Ebsworth Estate. American Modernism Seattle Art Museum Main address: Seattle Art Museum Wells Fargo Center 1300 FIRST AVENUE WA 98101 Seattle, United states Seattle Art Museum Wells Fargo Center 1300 FIRST AVENUE WA 98101 Seattle, United states 2018-08-22 2019-08-20 In the first decade of the 20th century, American photographer and gallerist Alfred Stieglitz offered a rousing alternative to the European artists then dominating the art world. He showcased the homegrown talents of four bold young painters: Georgia O’Keeffe, Marsden Hartley, Arthur Dove, and John Marin. Despite unmistakable individual styles, these artists shared a daring approach to color and created forms that evoked rather than described nature. Important examples of their work can be viewed in SAM’s new permanent collection installation American Modernism.